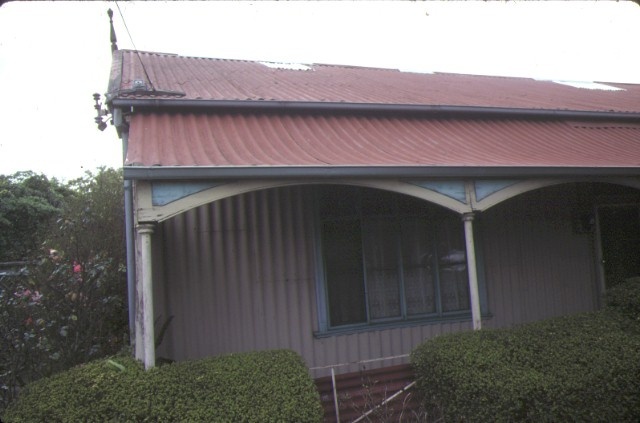 189 Brunswick Road, Brunswick is the westernmost of a row of two pairs of pre-fabricated iron cottages constructed in 1854 by the architect James Blackburn junior. They were built for the Presbyterian minister, William Jarrett, who had acquired the site in 1851. Jarrett was the clerk of the first United Presbyterian Synod in Melbourne and founded one of Brunswick's earliest schools in 1852, located adjacent to the cottages, and it is likely that the cottages were constructed to house teachers. Jarrett sold the pair at 187-9 Brunswick Road in 1864 (and the pair at 181-183 Brunswick Road in 1871), and the houses were subsequently owned and occupied by a number of people, many of whom played significant roles in the development of Brunswick. The cottage at 189 Brunswick Road has had fewer owners than the other cottages. The pioneer brickmaker and early Brunswick mayor, John Glew, was the owner of 189 Brunswick Road from 1872 to 1890 and his son, John, was owner and occupier from 1890. The house remained in the ownership of the Glew family until 1987. Glew senior began brick making in Brunswick soon after his arrival in Victoria in 1849, established his second yard in Brunswick in 1860 and bought a third brick making company in 1866. His Brunswick brickworks were renowned for producing the first white bricks in Melbourne. A shortage of housing, building materials and labour during the gold rush led to the importation of large numbers of prefabricated iron and timber cottages from a variety of overseas countries. 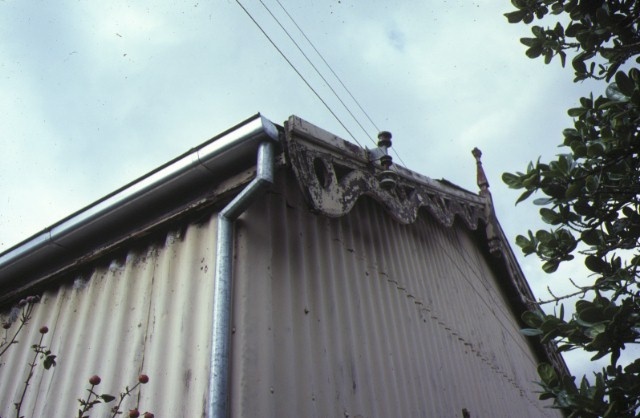 Iron buildings were chiefly imported in 1853-54, with the material quickly proving unsuitable for the Australian climate. The Presbyterian Church, with which the Rev William Jarrett was associated, imported a number of corrugated iron churches in the 1850s. 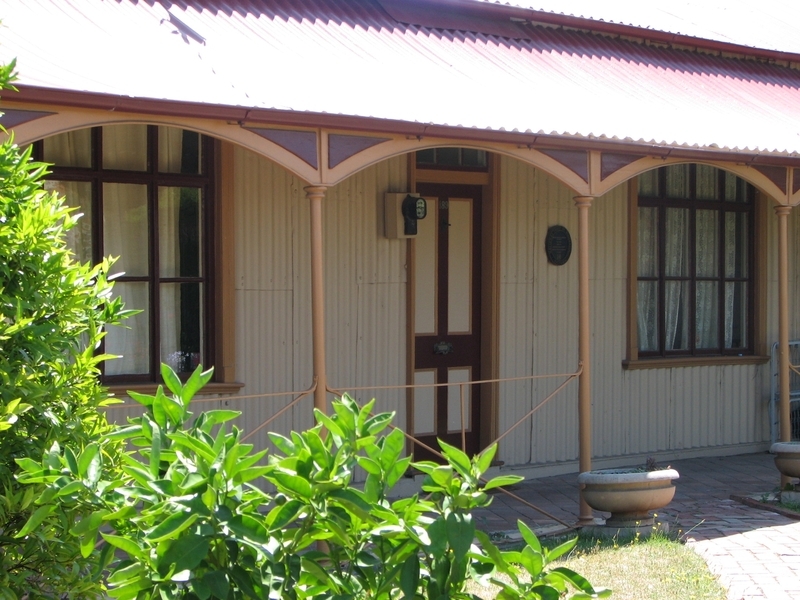 The Brunswick cottages are built of iron sheeting which was prefabricated and imported from England and erected in Melbourne. They are timber framed, with external broad-gauge corrugated galvanized iron cladding and interior brick cladding. British technicians developed the galvanizing process in the 1840s and this achievement, along with the use of grooved rollers and the fabrication of rolled sections of wrought iron, enabled the construction of prefabricated iron buildings. The Brunswick cottages are clad internally with brick, probably to reduce the effect of the climate. The cottages were recorded in the first Brunswick rate book of 1860 as comprising five rooms with detached kitchens. It has been suggested that these kitchens were imported prefabricated timber cottages, known as Singapore cottages, which were imported from that country in large numbers in the 1850s, or at least contained some Singapore timber in their construction. Remnants, mainly of common Singapore timbers, have been found on the sites of the four houses and these exhibit construction detailing and identifying stenciling common to Singapore cottages. The kitchen at 189 Brunswick Road had been replaced by 1904, however a later pergola on the site incorporates Singapore cottage timbers, and remnant windows and doors were found at the site. The iron house at 189 Brunswick Road, Brunswick is of architectural and historical significance to the State of Victoria. 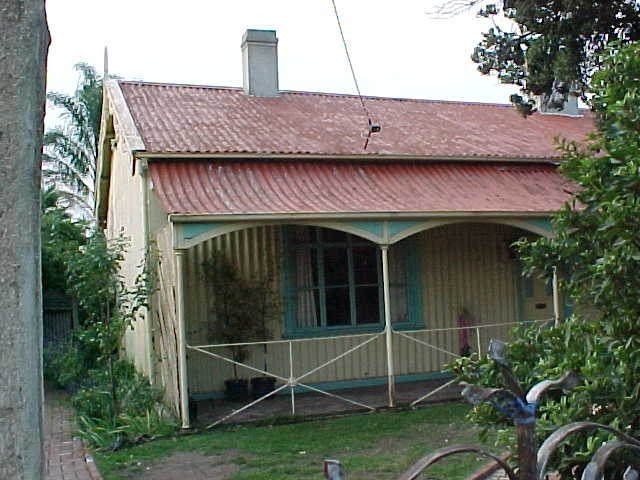 The iron house at 189 Brunswick Road, Brunswick is of architectural significance as a rare and substantially intact example of a portable iron cottage. Together with the adjacent iron cottages at 187, 183 and 181 Brunswick Road, this cottage is part of a highly unusual paired configuration forming a group of four examples of the one type. They are unlike any prefabricated buildings in Victoria. The iron house at 189 Brunswick Road, Brunswick is of architectural significance for its association with the architect James Blackburn Junior and for the unusual combination of Asian timber trusses and British corrugated iron sheeting. The iron house at 189 Brunswick Road, Brunswick is of historical significance as an illustrative example of a prefabricated building, imported during the Victorian gold rush when demands for housing were high and materials in short supply. The iron house at 189 Brunswick Road, Brunswick is of historical significance for its association with the notable Presbyterian minister, William Jarrett and the pioneer brickmaker, John Glew. Iron Cottage, 189 Brunswick Road, Brunswick, to the extent of the whole of the buildings and all the land described in Certificate of Title (Volume 2310 Folio 970). Argus. 1 August 1854, p 7, tenders for 'Iron House Builders' to erect two pairs of iron cottages in Brunswick Road.